Trust your body and trust your instinct! Today I reach another landmark in my motherhood. 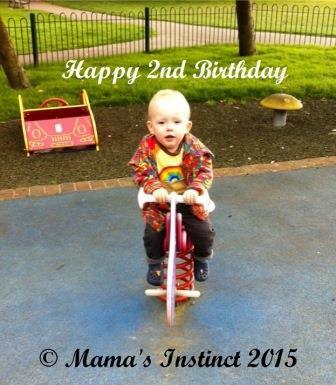 My firsts born is 2. He’s a very happy balanced child who is strong willed and stubborn and loving (very much like his mum). 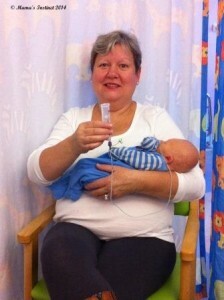 So much fun to be around and just as interested in his mummy milk. I intend to continue until he self-weans as that what will be the most gentle and will meet his needs. I am currently feeding my youngest who is now 5.5 months so it’s no extra demand as I have an ample supply and I have learned to trust my body and my baby! You may be surprised to hear that breastfeeding did not come easily to me at the start. With my medical condition this did not help my supply to start with I know now through further study that my pumping and priming my system when my son was in SCBU at Darent Valley Hospital is one of the things that saved my supply. Most mothers just feed to do this process but I had to remove the milk to stop the Feedback Inhibitor of Lactation (FIL) which slows down the production of milk when the breast if full which could have ended our journey. As lactation goes through 4 different stages and I was only at the second stage Lactogenesis two. To begin with it’s hormonally driven but I had 5/6 of my placenta retained due to my Accreta which was unbalancing the ‘normal’ hormone response. As my Progesterone levels where abnormally high they normally drop dramatically 30-40 hours after birth. The third part of the lactation is when we then move to a supply and demand stage in our lactation. It’s with the help and support of my family, friends and professionals. Caroline Jordan the infant feeding midwife at DVH and the Consultant at Kings who cut my sons Tongue Tie at day 16 (as some believed he did not have a TT) and my sheer determination of wanting to feed my baby that I have got to this point today. In the early days in also found ‘Kent Boobies’ to be a lifeline a secret Facebook group for mum to mum support all mums supporting each other’s journey’s. I went on to train as a peer supporter and I can only use this term whilst in the Kent based Children’s centre where I support weekly. I am however undertaking monthly studies to further my skills and knowledge as I am giving back some of the help and support I received in the early days. It took us 3 months to be discharged from the neonatal outreach team. 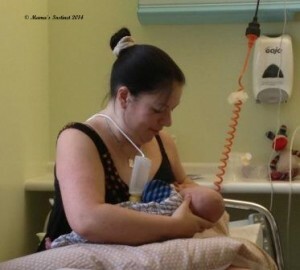 4.5 months to be discharged from the outpatients at the Children’s Recourse Centre at DVH and to return the pump I had hired from the NCT breast pump agent to get fully to the breast. I had to learn to trust by body and baby as I was no longer pumping and he was really and truly putting on weight and thriving. I am truly thankful for the support I have recorded and how some people have gone over and beyond to support me in following my instincts. I believe that every mother-baby dyad will go to what is right for them. Mothering is a journey which takes many turns and is not a smooth road every day there are hills to climb and roller coasters of emotions and at the end of the day we need to feed our babies so no mother should be made to feel guilty or bad about their decisions. If you are struggling with breastfeeding please do not suffer in silence. There is lots of help our there go to groups consult an IBCLC or NCT breastfeeding counsellor, La Leche League Leader, the association of breastfeeding mothers peer supporter and peers supporters. In Kent, you can find all the groups listed on www.kentbabymatters.org and below I will list all the other places you can call or gain sound good quality information. As I know from personal experience that it’s not always sound advice you get and this can also be damaging with not knowing what mixed messages to listen too. I do know that if I listened to some of the doctors I would not be breastfeeding now. I am so glad that I listened to my inner instincts and kept on going because I can now say at 5.49pm today 13.10.15 I have been breastfeeding 2 years in counting and I have grown so much as a mother, partner, peer supporter and pregnancy coach.